5G will offer businesses more opportunities than ever before, but you need to ensure you have the right hardware, Intel tells ITProPortal. With just a few years to go before the expected introduction of superfast 5G networks around the world, the need for robust infrastructure to support the new networks is becoming paramount. 5G will usher in a new era of data handling, with consumers, businesses and billions of connected devices creating and transmitting more and more information. Intel has long been a key player in creating and maintaining the hardware needed for technological transformation. Earlier this month, the company revealed its latest Xeon scalable platform, making a major play to be the processing power needed for the next generation of connectivity. 5G networks will play a major part in this area, especially as more of the world around us gets smarter and more connected to the Internet of Things. Offering a more efficiency and powerful platform for manufacturers and customers around the world to push the current technological boundaries, Intel’s new Xeon chips could play a key role in helping 5G become a reality. As mentioned, the world is becoming more data-hungry, and 5G will enable businesses to better analyse and use the huge amount of information being generated. "If you're not doing processing, out at the edge, or being able to decide what data do I keep, it's a huge data flood,” Lynn Comp, senior director of market development at Intel’s network platform group, told ITProPortal at the recent Xeon launch event, noting that the platform allows easy upgrading and expansion for companies preparing to deal with this explosion of data. "If companies can get more hardware for the same amount of money, then they're going to be able to have more customers and more revenue as a result." "We're doing that innovate, then integrate (process),” she added, “and we’re making it more achievable and accessible for more markets." The use cases for 5G are evident, Comp noted, with massive M2M and the IoT already becoming common in our everyday lives. But in the near future, the need for ultra-reliable low-latency networks will also become paramount, particularly as autonomous vehicles become commonplace, as will a growing consumer demand for ultra-mobile broadband, driven by a rising growth in mobile video consumption. “The (future) network really has to be able to handle different types of latency, different types of workloads that are data-intensive, such as 4K video,” Comp says. “That whole network transformation is happening, and it's happening a lot faster since the operators realised 5G is coming, and I need to get my network ready - managing these kinds of sophisticated models, you can't do that manually, on the network that we have today." 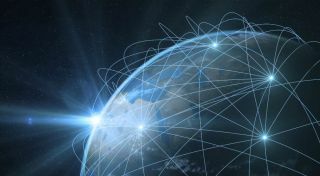 Comp predicts that we may even see major steps towards 5G networks appear before the 2020 mark, with next year’s 2018 Winter Olympics in South Korea, and the 2020 Summer Olympics in Tokyo possibly becoming showcases for future connectivity technology. "We will see various countries in a race to try and outdo each other and see how fast they can come out with something,” she notes, adding that 5G will also usher in a new era of reliable global mobile roaming, allowing users to enjoy their devices, without fear of punitive charges, wherever they are in the world. For now, Intel is continuing to support 5G testing across the world, with Comp highlighting current experiment with AT&T in the US city of Austin as “transforming” the capability of back-end networks needed to support the new technology..